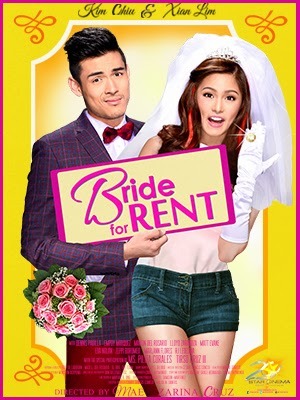 After the success of 2013’s best and craziest romantic-comedy “Bakit Hindi Ka Crush Ng Crush Mo?” here comes Kim Chui and Zian Lim’s New Year’s treat, “Bride for Rent” ready to hit the big screen this coming January 15, 2014. 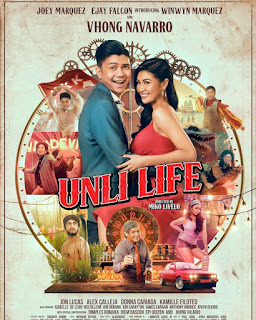 This is a Filipino romantic-comedy movie directed by Mae Czarina Cruz, proudly brought to us by Star Cinema as its very first movie offering for the year. Bursting fun and tickles that will surely make us truly laugh. This movie is a story of a rich-stubborn guy named Rocco played by Zian Lim who’s very eager to get his inheritance from his grandparents. So in order for him to get his riches, he must marry someone and present her to his grandparents. However, he doesn’t have a girlfriend. His friends helped him organized an audition for a role to be “his wife”. There were lots of girls who auditioned but only this girl stood out; she’s Rocky who will be played by Kim Chui. Rocky (Kim Chui) is a typical girl who’s very jolly and willing to take everything just to get a job. Rocky will pretend as Rocco’s wife but at the end they will be forced to get married at the church and actually live in the same roof. Rocco’s grandmother has been very supportive about their marriage. Their life will become so interesting and lots of fun because of the struggles that Rocco will take in Rocky’s hands. Let’s see how this relationship will last despite of the real course. Let us all watch and laugh. Let’s watch Bride for Rent this coming January 15, 2014 on cinemas nationwide. See you all there!